In case you missed my last post "Sam Adams: Patriot & Failed Brewer?" I've decided to to jump head first into a Sam Adam's Summer Style case and review it from bottle to bottle, in honor of the summer season, as well as our nation's revolutionary history. 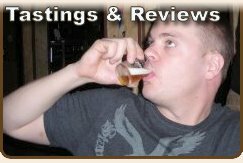 In my previous post, I discussed the irony of Sam Adams as a failed brewer and business man, despite the raging success of the modern day Sam Adams beer from the Boston Beer Company. But perhaps I was a little too hard on Sam, after reading a little more, it would seem that Sam had a lot on his mind in those days of failed business and brewing. "At around this time, Adams had spent and mismanaged most of his inheritance to the point where creditors even attempted to seize his home. By 1760, Adams was bankrupt..."
Pretty horrible really, perhaps I should cut Sam a break on his poor business and brewing practices. But take heart friends, Sam would be OK, in addition to "fathering" the American revolution, he would also bounce back and start a romance with the 21 year old daughter of a friend. Way to go Sam, you old dog! 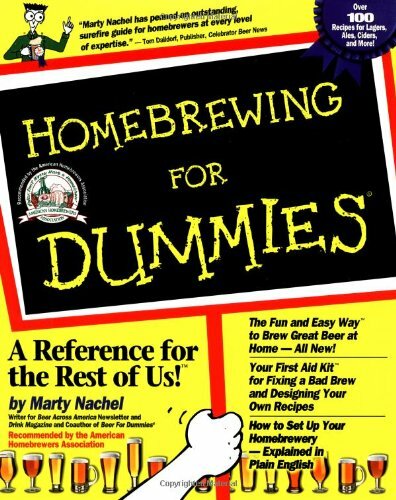 Note the copy of "Baby Owner's Manual" along side the brew. Not a bad beer to accompany my light reading on becoming a daddy. Bright and citrusy, brewed with mysterious grains of paradise. Samuel Adams® Summer Ale is an American wheat ale. This summer seasonal uses malted wheat as well as lemon zest and grains of paradise, a rare pepper from Africa first used as a brewing spice in the 13th Century to create a crisp and spicy flavor and body. The ale fermentation imparts a background tropical fruit note reminiscent of mangos and peaches. All of these come together to create a quenching, clean finishing beer perfect for those warm Summer days. 1. Appearance - Pale golden yellow with a bit of haze, looks like liquid wheat. Topped with a moderate head, slight lacing inside the glass. 3. Taste - A mild sweet wheat flavor, punctuated with a lemon zest twang, low to no hops, and something else, something peppery... Could it be the "grains of paradise" that I detect? "In West African folk medicine, grains of paradise are valued for their warming and digestive properties. A. melegueta has been introduced to the Caribbean Islands, where it is used as medicine and for religious (voodoo) rites." 4. Mouthfeel - Light, smooth and adequately carbonated. 5. Drinkability - This brew confuses me. I really enjoyed it when I had it on tap at a few local pubs. A good beer to enjoy on the bar patio on a hot day. But I did not love this beer out of the bottle. Certainly still a refreshing and very drinkable beer, but it didn't do it for me. That being said, I could still have quite a few, but mostly because it goes down so easily, not because I'm in love with it. Did I mention I don't love this beer? The beer is gone, as is the chicken... Time to go inside... Enjoy your summer! "Often served with a lemon wedge (popularized by Americans)..."
I read this beer urban legend all the time; it's simply not true. I lived in West Germany for almost 4 years (1974-1978) acting as a translator where I was first introduced to wheat beer (Weizen) during a terrible hangover. It was suggested to me because of its lower abv (hair of the dog approach). I lived in Franconia, part of Bavaria. Weizen was always served there in a tall, tall glass with a slice of lemon. You never asked for the lemon slice; it came with the beer. Remember; this was years before most Americans had even heard of a wheat beer, let alone drink one. None the less, I appreciate the comment. 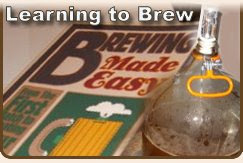 I was googling to find a recipe for Sam Adams Summer ale: I am learning to brew my own beer. This is how I stumbled upon your blog, a very well written one by the way. I first had this beer sitting on a deck at a marina-restaurant in Minneapolis. I have to say, this is the one beer I actually loved. All others beers are good, like, Heineken, Corona etc. But, this one is just a class apart, especially on the breezy summer evening, with a plate of hot chicken wings on the side. I just loved it. I liked the smoothness of it and the way it simply goes down the throat without any bitterness or after-taste. Also, like you said, there is nothing that you put your finger at to call it a good beer, but it just tasted so good. Thanks for the kinds words Killer Raj... Do you have a site of your own? What's the URL? Bryon, thanks for the response buddy. 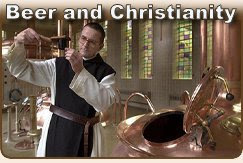 I do have a blog at the moment, but it is not relevant to home brewing or anything like that. Its just one of those, "look at me, I crave your attention" kinda thing. LOL.